Find hotel near Russisch-orthodoxe Kerk V .. This old-Muscovite and Novgorod style church was built by Russian refugees in the 1930s. They wanted someway to honor the victims of the Russian Revolution - Tsar Nicolas II and his family. The architecture is clearly very exotic to the kind of churches you’d usually see in Brussels. Just check out that jaunty onion dome! Inside, the iconostasis bears the 16th century painted icons. See the triptych to its left. Nicolas Iselenov painted the fresco on the church apse. Guided tours can be arranged by appointment. Only open during mass times. How popular is Russisch-orthodoxe Kerk Van Sint-job? 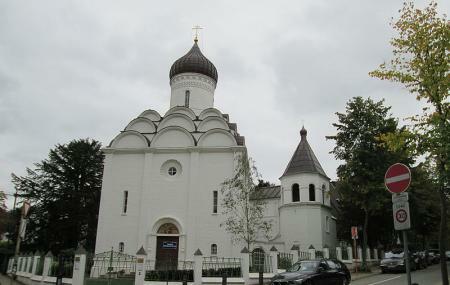 People normally also visit Hotel Ciamberlani Asbl while planning their trip to Russisch-orthodoxe Kerk Van Sint-job.